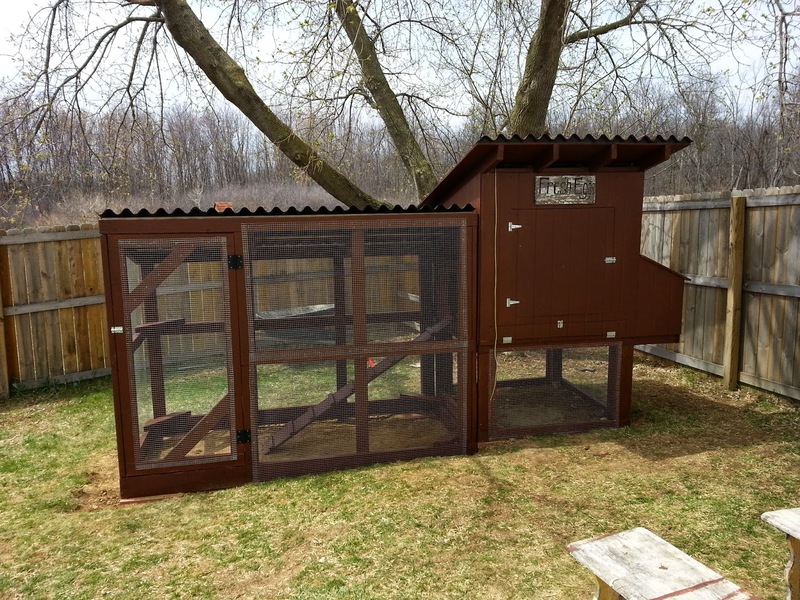 Thinking of raising a few chickens myself and I also live in Michigan, did you do anything special to winterize the coop? Will be putting in a heat lamp on the inside on a temperature controlled outlet, just to keep it about 40 degrees in the coop. I will also be putting some heat tape on the watering system. Will be doing a video on that also probably next week or the week after. Good luck! Did you draw up any plans to get your dimensions and bill of materials? I like your design and was wondering if I needed to reverse-engineer it or if you already had some plans you wouldn't mind sharing? 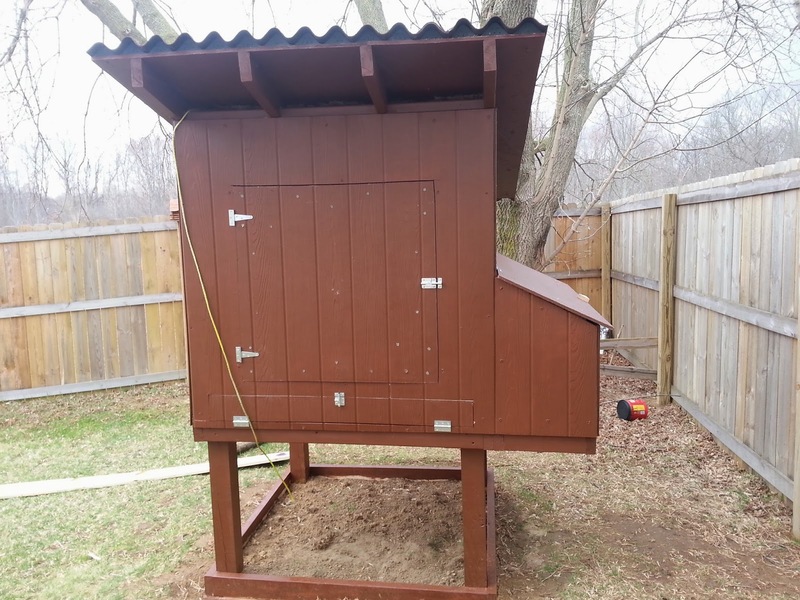 I love the small footprint on this coop and the feeder and waterer ideas are brilliant! Thanks! You are not the first person to ask so maybe that is something I will do in the future but unfortunately I do not have any official plans at this time. I tried to give dimensions and measurements in the videos so hopefully that will help. Thanks for checking it out and feel free to message me with any questions if you do decide to build it. I don't mind giving you any info you need. Thanks! We'll let you know how it goes. Hey SSL Dad. I love the videos. I am patterning our coop exactly after yours. We made good progress the first weekend, Got everything framed up and the plywood roof on. This weekend we plan on doing the siding and corrugated roof if weather permits. The chicken run, watering system and feeding system will follow! Sounds like a nice coop so far! Glad you were able to get some ideas from ours, it has been working well for us so far. We would love to see pictures if you get a chance post on www.facebook.com/simplesuburbanliving. Good luck getting it put together, you must be in warmer climate than us! We're getting our first batch of chicks this week which means I need to get on the ball with the coop construction. I would like to do something similar to yours. Can you give me a rough estimate of a how many hours and dollars you spent on the coop and the run? Thanks and great job on yours! Thanks! On the high end I spent about $450 including the coop, run, mobility parts (for the tractor part), watering system, feeder, etc. You could easily spend about half that if you don't make the run mobile and use chicken wire instead of hardware cloth. It took me a couple of days total to build if you added my time together ( I built it over about a month). Hope that helps, thanks for checking it out! what is the measurement of the opening for the slide out tray? Your measurement shows 6 1/2 inches but that seems too big based on the actual pictures. How are roof joists attached to front and back walls. Followed plans so far with no problems but not experienced in this step. I'm going to be building this over the next couple weeks. Ive been trying to build a materials list based off of your cut list. I wanted to know if maybe you already had a materials list of raw lumber needed to complete the project. Your cut list is AWESOME and I can work with that. If you dont have the materials list I'll try to remember to post it as soon as I complete the project and know everything it needed. Thanks much for this idea. I cant wait to get going on this project. Just wanted to thank you for the hard work you've put into sharing the plans for this coop and the other projects you do. I used your plans as the basis for my own coop design. I made modifications based on my own needs and desires. 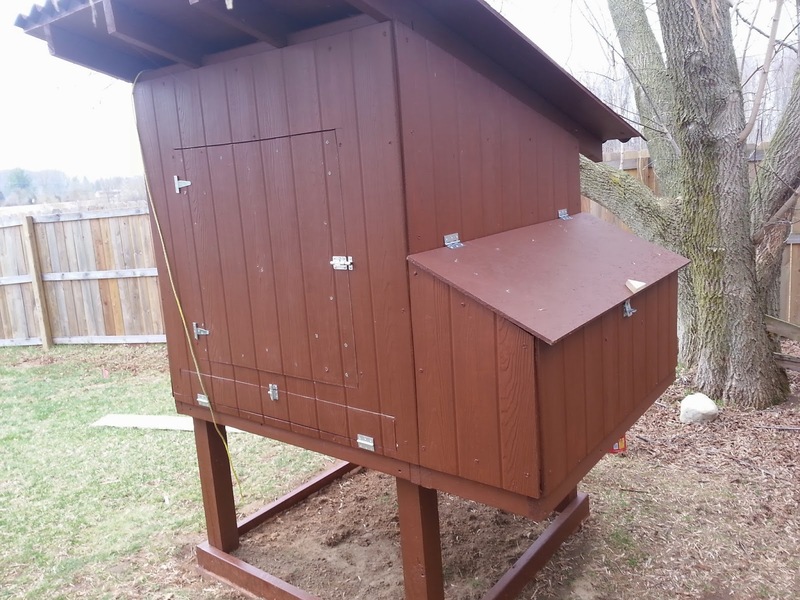 My design is 3.5'x5' coop (plus nesting box) with a 3.5'x8' run, with modifications for using the deep litter method. We are going to introduce chickens to the coop this weekend, and the family is very excited. Your blog has been a huge help for us, and I wanted to be sure to extend my gratitude. Even years after you've build your coop, the hard work you've done continues to help people on their own journey with backyard chickens!